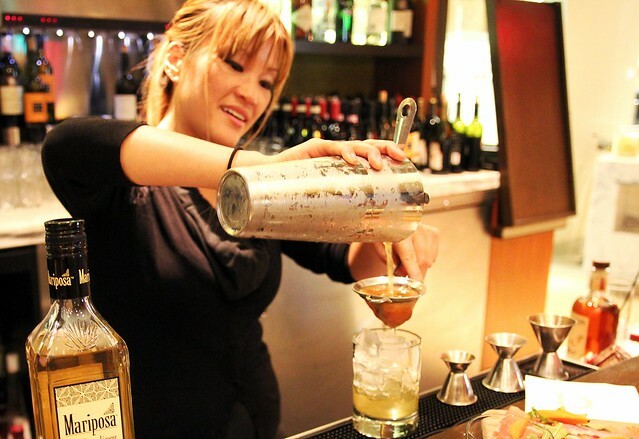 Drago Centro’s Jaymee Mandeville fixing up a new summer cocktail. Tonight at downtown’s Drago Centro restaurant, bar manager/mixologist Jaymee Mandeville will unveil her all-new summer cocktails for only $8 each. That’s right, for one night only, boozers on a budget can enjoy the nine new cocktails at a price that’s unusually low for downtown. Normally the “Nuovi Classici” (New Classics) and “Classici” (Classic) cocktails here run $12, which is still not too bad for the area. Last night, courtesy of a hosted preview, I got a taste of Jaymee’s new cocktails which showcase ingredients evocative of sultry days like honeydew, white tea and strawberry shrub. Yum. The great thing about her concoctions is that even though they seem like they have a lot going on in terms of a variety of unique ingredients, they always turn out so well-balanced and, well, delicious. OK, this was my absolute favorite on the menu. Turns out strawberries make delicious shrubs as the sweet-sourness of the vinegar is a natural complement to the berry. Really approachable, especially to those who are still hesitant about vinegary cocktails. 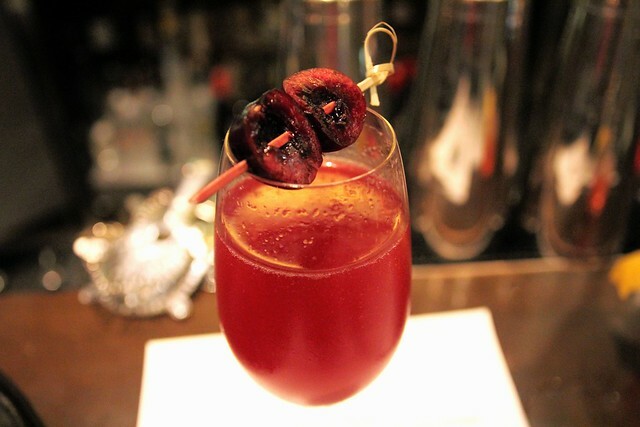 Full-bodied, almost like a sangria but dry thanks to the prosecco and oh-my so potent. 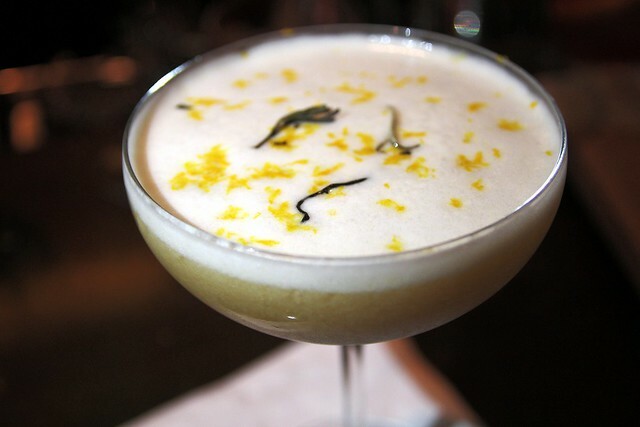 Now this one is best enjoyed on a porch but the outdoor patio at Drago will do nicely. The bitters in this tea cocktail adds complexity and at the same time rounds it out. 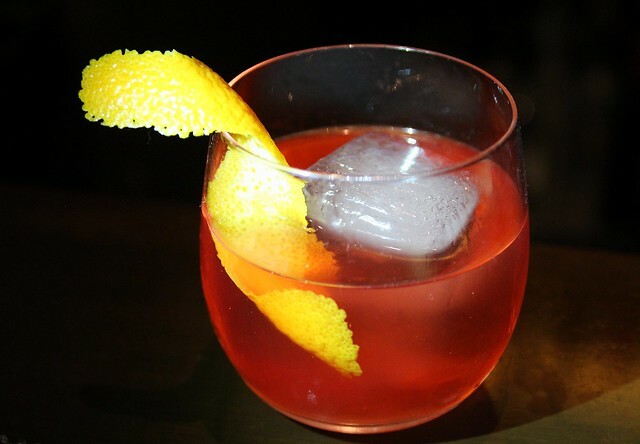 It’s like a Vieux Carre but with lighter ingredients for the summer, says Jaymee. But just don’t let it sit too long as the ice will soften its flavors, at least too much for my tastes.